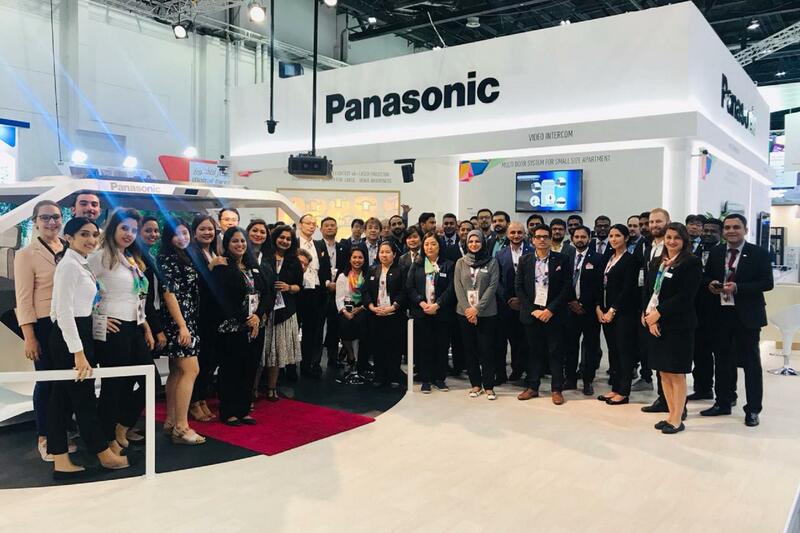 Dubai, the United Arab Emirates - Panasonic Marketing Middle East and Africa (PMMAF) introduced its latest range of business solutions at GITEX Technology Week 2018, which was held from October 14 to 18 at the Dubai World Trade Centre. Industry-leading innovations have remained central to Panasonic and as it marks the centenary celebration this year, it further strengthens its commitment to help regional organizations grow and stay competitive in the age of digital transformation. Panasonic showcased a wide selection of revolutionary products across different categories for multiple key vertical markets, among them Education, Retail, Hospitality, Real Estate, Corporate, Leisure & Entertainment Industries. Each of the new solutions displayed boast advanced features and ground-breaking technologies designed to deliver unprecedented business efficiencies. Among the products that drew great interest from the visitors were Panasonic's full line-up of visual solutions, office automation, rugged mobile computers and communication solutions. GITEX, one of the region's most influential, exciting and high-energy technology events, opens the mind to experience some of the latest global trends, cutting-edge products, savvy gadgets and unique services in the tech industry, and Panasonic, through a variety of innovation led demos will be hosting interactive sessions of immersive technology experience directly from the show floor. Mr. Hiroki Soejima Managing Director for Panasonic MEA, said, "Banking on the strength and leadership that we have carefully built over the past 100 years, Panasonic remains fully committed to its goal of keeping our customers at the core of our business by designing and manufacturing products and providing solutions that contribute to their growth. 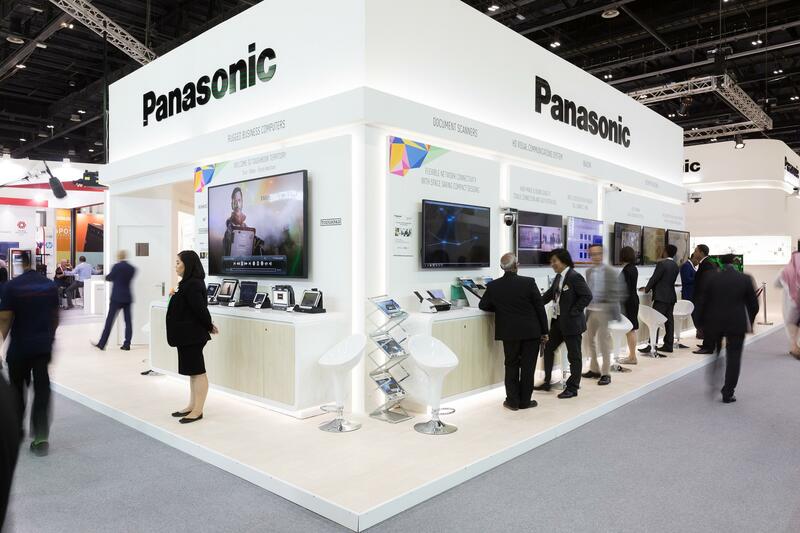 This year at GITEX, as we chart the path forward to the next century, Panasonic is strengthening its resolve to empower its customers by introducing never-before-seen technologies that meet their ever-changing needs and steer them to future business competitiveness." "As a global leader in technology, Panasonic provides businesses with the tools they need to run smoothly and efficiently, and drive growth. We concentrate our efforts on the R&D of next-generation technologies, working directly with our end users to understand everyday problems they encounter in their fields and follow up by engineering solutions to solve their toughest challenges." Commented Mr. Yasuo Yamasaki - Director, System Solutions & Communications Division, PMMAF. "Studying carefully the needs of region's emerging industry sectors such as Retail, Hospitality, Education, Real Estate, Leisure, etc. we are showcasing a portfolio of comprehensive technology solutions, designed to deliver unprecedented business efficiencies. GITEX Technology Week, being the biggest ICT event in the Middle East and Africa region, is the ideal platform for us to introduce these exciting technologies and path breaking products to help customers future-proof their business," he added. GITEX provides a platform for technology players to put their best foot forward in a bid to showcase the latest B2B technology products for businesses across industries. In addition to Panasonic's exciting display of its full end-to-end business portfolio at the show, also included was a special showcase that represented the brand's illustrious heritage and its centenary milestone, as well as gave visitor's a preview to its future vision that will pave the way to the next century. Visitors got the chance to walk back in history with a heritage display celebrating Panasonic's storied past. This zone included a showcase of Panasonic's several ground-breaking legacy products that solidified its position as a global innovator in technology. This part of the booth focused on the latest Panasonic products and solutions designed to redefine performance and efficiency in business operations. On full display were the exciting products and technologies addressing the needs of key industry verticals such as Education, Retail, Hospitality, Real Estate, Corporate, Leisure & Entertainment Industries. 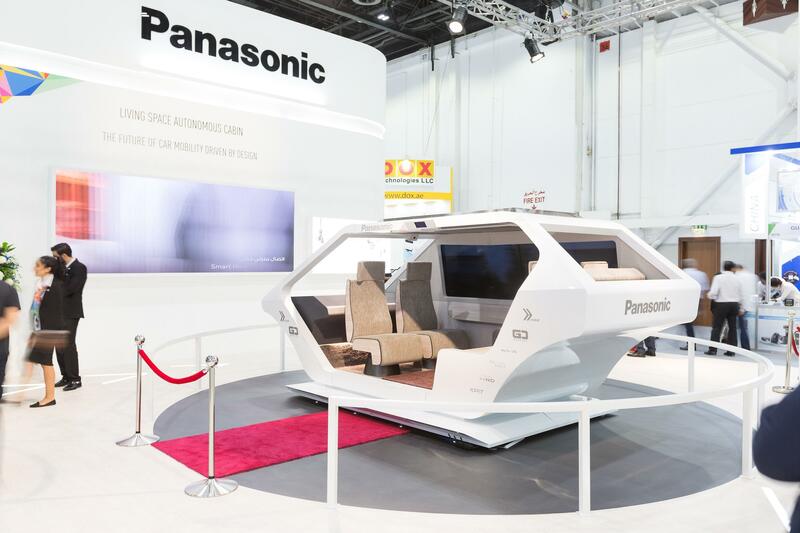 Amid the vast display of technology, visitors were also treated to dynamic product demonstrations for a first-hand experience of the Panasonic technology. Panasonic's Visual Solutions have been relentlessly perfecting technologies, to bring display concepts to life, and make the ultimate visual experiences a possibility. From theatres to universities, museums to shopping malls, from concerts to corporate installations, the brand's wide range of cutting-edge projectors and high-performance professional displays are making an impact on users, effectively captivating and engaging their audiences. Panasonic's cutting-edge security solutions showcased were bannered by the award-winning face recognition server software using deep learning technology and advanced vehicle search feature. The facial recognition software can identify faces that are difficult to recognize with conventional technologies, such as those taken from an angle of up to 45 degrees to the left or right or 30 degrees up or down. It also maintains a 90% accuracy rate when detecting faces that are partially hidden by sunglasses or face masks. Additionally, Panasonic presented a comprehensive lineup of video surveillance products and solutions, including IP and analog security cameras, multi-sensor cameras, recorders, management systems, software and accessories. These world-class security products offer the industry's highest picture quality, mission critical reliability and the industry's lowest total cost of ownership. Panasonic helps businesses organizations of all sizes capture, compute and communicate all sorts of information: image, voice, and textual data. A wide range of products innovations that include PBX telephone systems, scanners, mobile computing devices, and high definition visual communication systems are able to deliver improved return on investment and previously unachievable business process improvements. Completing the showcase was the Future Zone, which was designed to give visitors a peek into Panasonic's goals for the next century. Taking the spotlight was the Autonomous Living Space Cabin, which is envisioned for various valuable experiences as future living space. Based on this concept, a luxurious, modern, and high-quality living space is created inside the vehicle. This next-generation cabin space offers four types of in-car environments: Living Room, Business, Relaxation, and Entertainment. The future zone also comprised of a vision theatre, which featured a video about Panasonic's vision for the year 2030. PMMAF, in its continuing mission to nurture young minds in the field of technology and engineering, hosted students from various universities across the UAE at GITEX 2018. 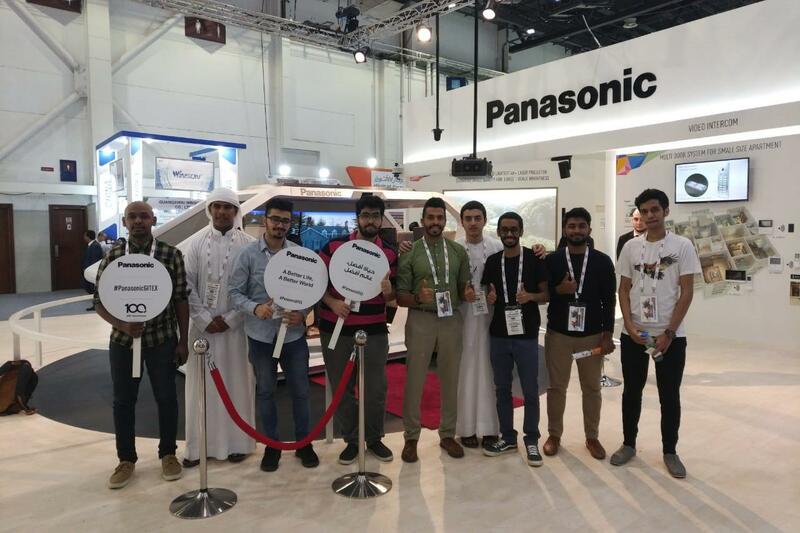 Students pursuing engineering and computers science courses at Ajman University, American University of Dubai and Middlesex University Dubai among others were given a tour of Panasonic's expansively themed booth showcasing 'past, present and future' pioneering innovations. We would like to note that Panasonic Newsroom is not a place to address personal Customer Service issues. Even though this is not the forum, Panasonic is always eager to resolve your concerns. Our local customer services contacts can be found at Global Support or you can see our list of Social Media Accounts to find the right channel for your queries and concerns. This video introduces how, all across the world, Panasonic is striving towards the goal of realizing "A Better Life, A Better World". Copy and paste this code.